Bova Marina is a municipality in the Italian province of Calabria. It's the home of a Polyphonic Choir that was founded in 1989 by Maestro Aldo Gurnari, a figure of considerable prestige in the local music scene. The Chorale is responsible for organizing the festival "Voices in the Mediterranean", now in its third edition. 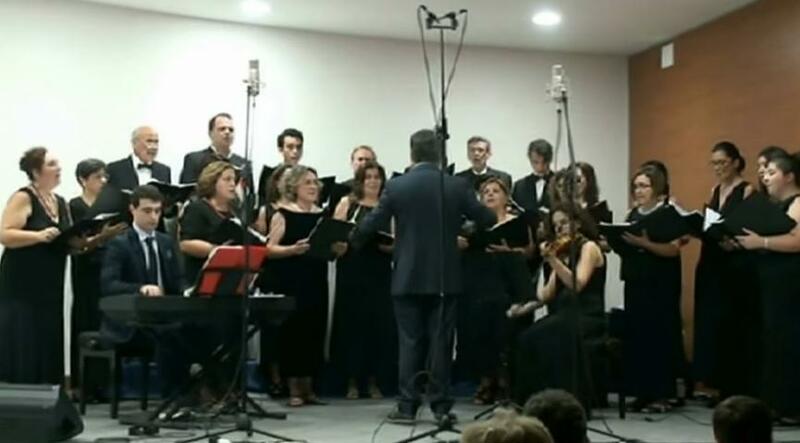 It has a repertoire that ranges from the most classical pieces of sacred and secular music from the period between 1400 and 1800 to excerpts from the Byzantine liturgy to emphasize the importance that Greek celebrations have had in the past in the territory. Somehow Shalom Aleichem, a traditional song to welcome Shabbat, has also found its way into their repertory.